I'm not very happy with my beginning and end of rounds. 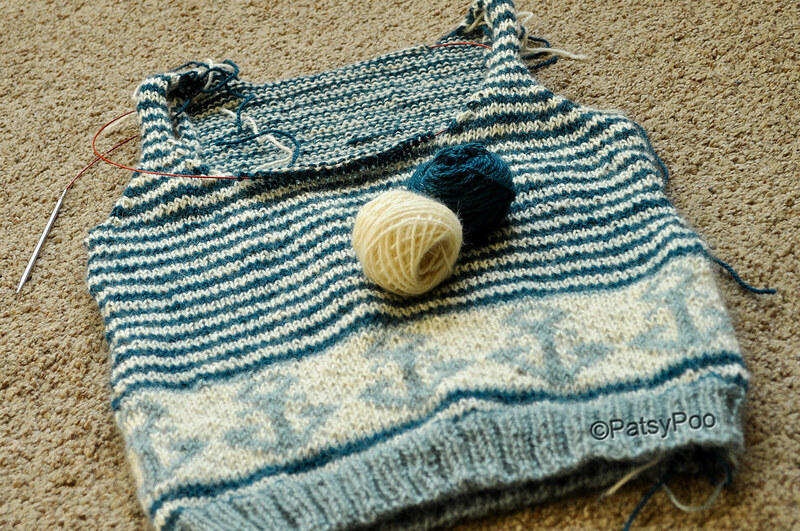 Because of it I didn't enjoy knitting the stripes at all. I don't think I'm 'carrying' the yarn properly but I lost count how many times I've changed my method, unpicked, restarted, etc. So I'll just have to live with it. It's on the side and no one will notice. If they do they're too bloody close anyway. What amazed me the most so far is how much yardage I got out of this yarn! I did the whole body on less than 2 x 100g balls. The two tiny balls above are what's left. Yes, I'm tiny and yes, there is a 3-inch or thereabouts band with anchors on it. But still, I think that's pretty impressive!